Michigan Wedding, Newborn and Lifestyle Photographer serving Lansing, MI - Ann Arbor, MI - Jackson, MI and the surrounding areas. 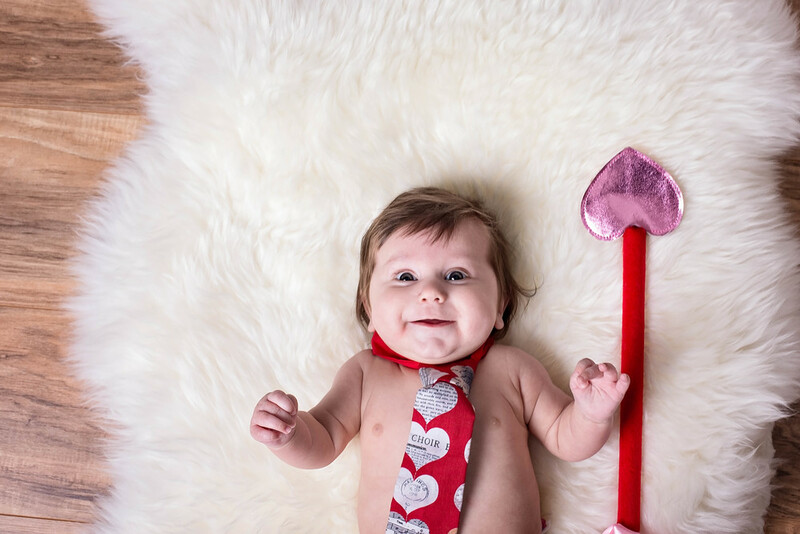 We started out photographing him in his spiffy little outfit, but then we had some fun with a little Valentine's Day set up too! Isn't he just the cutest? I told his Mama he's the most expressive baby ever! He makes so many funny faces. He'd be great for some adorable Meme's! Lol. I can't wait for his 6 month session!